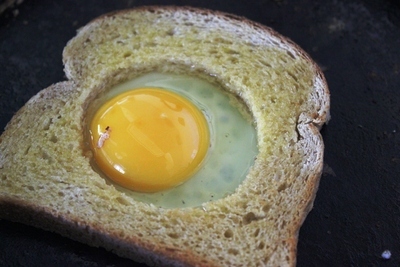 This recipe is a fun and different way to eat eggs and toast - by putting the egg inside the toast. This makes a great unusual breakfast or brunch surprise which is also very easy to prepare. It would be an excellent breakfast treat to make for mum or dad for Mother's or Father's day or maybe for their birthday. Take one slice of toast and butter it. 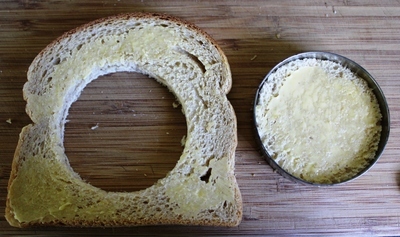 Next, make a large hole in the centre of your toast with a round cookie cutter (or you could use a glass). Set aside the inside circle bit - or eat it while you cook the eggs. 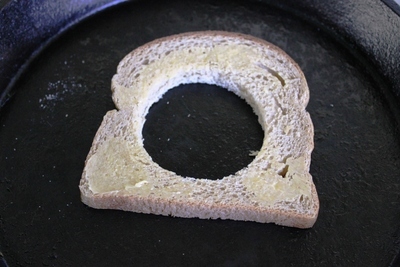 Add a little butter to a fry pan and place the toast inside. Toast each side to your liking. 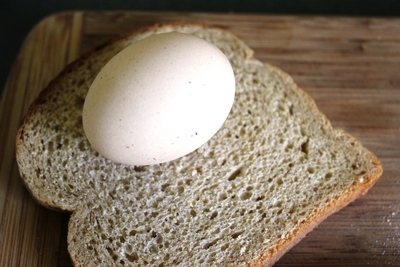 Carefully crack an egg into the hole and let it cook for about 3 minutes, so that the egg white actually turns white. 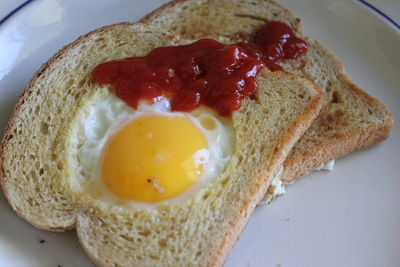 Use an egg flip to serve the eggs in toast and add any sides you like, such as grilled mushrooms, tomato sauce, sausages or greens. Enjoy your breakfast or maybe brunch.